When talking about Cooling Tower components, you can’t help escaping the term ‘Fill’. It has been seen that most cooling towers are equipped with fills, either made up of plastic or wood. The fill employed for easy transfer of heat by maximizing water and air contact. Now, a tower fill types can either be splash or film type. 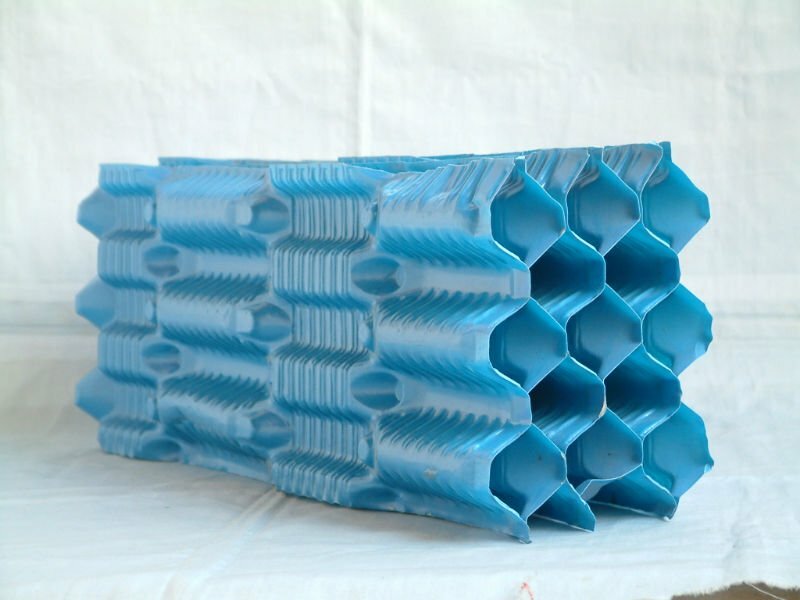 Film fill cooling tower consists of thin, closely placed plastic surfaces over which the water spreads forming a thin film in contact with air. 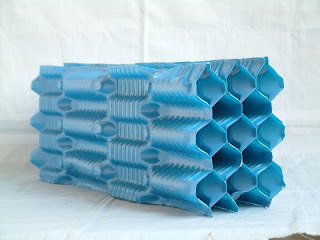 The surface may be flat/corrugated/honeycombed etc. Splash Fill Cooling Tower consists of layers of horizontal splash bars into which the water spreads and breaks into small droplets. Since the water falls over successive layers the fill surface also get wet. In most of the cases, plastic splash fill provides better heat transfer as compared to the wood splash fill. Engineers prefer film fill over splash fill. They say, “Film Fill is more efficient in heat transfer in a smaller volume than the splash fill. In film fill, water forms a thin layer of film on either side of fill sheets or the area of heat exchange is the surface area of the fill sheets, which is in contact with air. To get an in depth idea of this topic, you may contact some cooling tower fill suppliers and manufacturers. They may help you out with proper explanations for fill material according to the current market demand. Ask Cooling Tower Manufacturers ?? ?